South Australian managed services start-up OpSys has set up a dedicated security operations centre in Adelaide after leveraging what it claims is the first local deployment of the FireEye Helix intelligence security platform. The dedicated, air-gapped centre will enable future advanced investigations of threats and complement the existing capabilities of the Helix platform to detect and respond to threats. It is also in the process of building a dedicated data centre for the service. After striking a deal with FireEye, OpSys spotted a need for enterprise grade security for small to medium businesses, and decided to build a managed service based on the Helix platform, which offers a combination of advanced threat detection and response capabilities. OpSys will offer customers Helix ‘seats’ according to their requirements and budgets. For example, if a company had 10 employees, they can just purchase the seats required rather than pay for the full enterprise-grade solution. 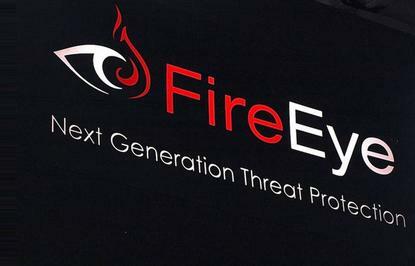 It is understood that the new deployment marks the first deployment of FireEye Helix in this manner in the Australian market. OpSys founder Matthew Fabri, said the Helix platform offered the most complete combination of security capabilities. “Security is everyone’s concern, regardless of how big an organisation is. It stands to reason that companies of all shapes and sizes have access to the same toolsets to defend themselves, and now they do,” Fabri said. OpSys was launched last year and offers virtualisation, mobilisation and managed services. Since then, the Adelaide company has experienced rapid growth and plans to take its business nationally. “We see strong demand from SMBs for this level of service, and it means we’ll look to expand the service to a national and, eventually, global market,” Fabri said. The Helix platform is built on FireEye’s intelligence and analytics; network and endpoint security; incident response and expertise in building security programs. Helix is the result of a multi-year effort to address a customer’s most difficult security problems. FireEye A/NZ regional director, Richard Metcalfe, said FireEye Helix was specifically designed to simplify, integrate, and automate security operations so that organisations can get the most out of their security infrastructure and manoeuvre from alert to fix in minutes, not days. “OpSys is now enabling that level of security and service to businesses of all sizes in Australia,” Metcalfe said.